What Should Zillow and Realtor.com Charge for Leads? – Notorious R.O.B. What Should Zillow and Realtor.com Charge for Leads? So a couple of weeks ago, we got news that Move (the parent of Realtor.com) agreed to acquire Opcity for $210 million. Since that means Realtor.com will be taking a percentage of the agent’s commission as referral payments, I figured it’s just a matter of time before Zillow walks through the doors that Move has opened. I was not disappointed. Which is why we’ve decided to test a new payment model for our Premier Broker program called Flex Pricing. The test, which is launching in Florida in October, will meet the need for more flexible payment options for our broker partners and introduce a “performance advertising expense” payment model. As part of this model, participating brokers and their agents will receive a limited number of connections to home shoppers at no upfront cost. If you make a sale from a connection we deliver, a percentage of that – the performance advertising expense – is due only when the transaction closes. Predictably, the paranoid zHaters crawled out of the woodworks. See the comments on this Inman article, for example. What should Zillow and Realtor.com charge for these leads? A recent conversation with the sage of the industry, Steve Murray of Real Trends, put that question in my head. Let’s get into it. Our conversation was actually on a different topic, but what he told me got me thinking about this new age we’re entering with the two largest portals embarking on a referral-fee based model. What Steve told me is that his company, the clear leader for decades in the industry on brokerage valuations, recently finished a study of top producing agent teams. What they found is that the average split for team members on these agent teams was 35%. Yeah, that means the team took 65% of the GCI, and the agent got 35%. It surprised me as what Sunny and I knew from our talking to agent teams is that the typical split is 50/50, not 65/35. But you know what? When Steve Murray tells you what he found, you go with what he says unless you have rock solid data showing otherwise. The interesting thing here is that brokerages across North America average 85/15 splits with their agents. The primary difference, in Steve’s opinion, is that the agent teams produced leads for their team members while brokerages did not. The inescapable conclusion, then, is that providing leads is worth 50% of the GCI: 65% for agent teams that generate leads vs. 15% for brokerages that do not. In theory, the leads from Realtor.com and Zillow are worth less than the leads from your agent team leader because “the leads are garbage” according to many a detractor of online leads. I don’t know how true that is, since I’m not in the trenches, but logically speaking, since many an agent team simply passes on a lead from a listing or from Zillow and Realtor.com or whomever to a team member… that just doesn’t make a lot of sense. Where it might make sense is if the agent team does quite a bit more work in the initial contact, incubation, and qualification of a prospect before handing it off to a team member. Those aren’t leads; they’re appointments. Sure, the agent still has to close the prospect, do the work, drive them around, build trust, etc. etc. and so on, but the quality of those refined/incubated leads is far higher than just some d00d off the website asking whether a house is still available. And the best agent teams do exactly that with ISAs (Inside Sales Agents) and specialized licensed assistants for dealing with inbound leads. Now, however, Zillow is changing the game. It will now have its own representatives screen incoming calls. They will make sure the caller is actively looking to buy or sell a home, not yet working with an agent and ready to speak to an agent. Once this screening process is complete, Zillow will connect the real estate agent to the caller. However, if the agent doesn’t pick up, Zillow will automatically transfer the call to the next agent in line. I suppose much depends on how much work Zillow’s own representatives do before passing on a lead, but given the competitive challenge from Realtor.com + Opcity, I figure it’s just a matter of time before Zillow ramps up the pre-handoff game too. Ergo… the future leads coming from Realtor.com and Zillow should, at least in theory, be no different in quality than the leads coming from your agent team with its ISAs and pre-screeners and drip marketing and incubation and so on. Those should all be appointments, not leads. None of This is New, Right? Before you gasp at the thought of 50% referral fees that Realtor.com or Zillow might charge, remember that these kinds of very high prices for high quality leads is not exactly an unknown thing in real estate. I speak of relocation, of course. Multiple accounts of what relocation companies charge for one of their buyer leads suggest that the fee can be as high as 48.5% in some cases. This document from Coldwell Banker Arizona shows a 40% referral fee off the top for Cartus relocation. So I have to assume this isn’t some newfangled thing in the industry. So, let’s assume for the sake of discussion that the leads from Realtor.com and Zillow will be qualified appointments. On this recent thread on Facebook, I asked a number of my friends what the brokerage would have to do for them to accept a 50/50 split. The overwhelming answer was “qualified appointments”. Would you take a qualified appointment from Realtor.com and Zillow at a 50% referral fee? Why or why not? If you said No, what do you see as the difference between that and joining an agent team at a 50/50 (or 65/35 according to Real Trends study) split? I think that Zillow understands that they need to adapt or lose users because I think many of us know that the agents are often as “crap” as the “leads”. Even though the agents don’t work for Zillow the Zillow reputation takes a hit everytime an agent fails to respond or provides poor information. By only providing ready, able and willing contacts or people who are knowingly raising their hand and asking a question they are providing a level of service they can control to those using their platform as well as provide a higher level of contacts being provided to agents. When we started as a brokerage we split commissions 50/50 with our agents. These were not referrals but it’s basically the samething. Why would an agent agree to a 50/50 split? What did we have to bring to the table to get it? Basically everything (a place to work, paid-for local marketing and a great product). Our agents were basically phone clerks and order takers. The one thing we couldn’t do ourselves was to “know the market” (pricing). 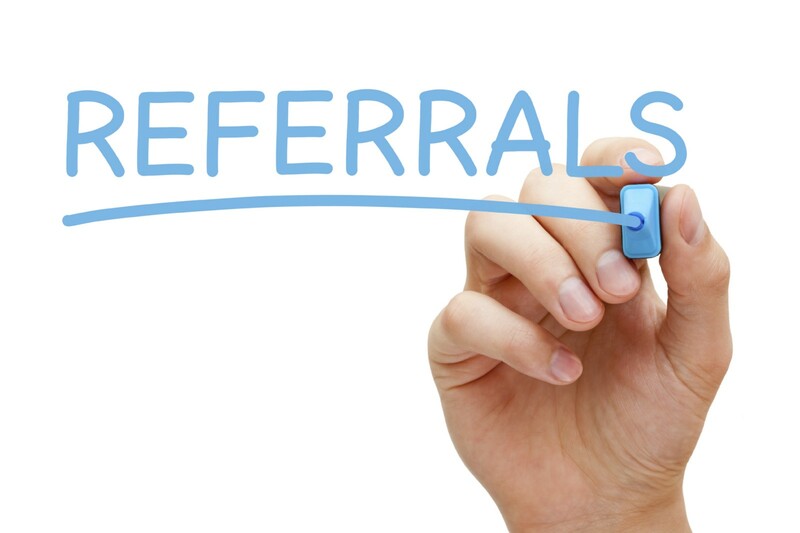 We are in the mist of a similar model and will be asking for a 25% referral fee for our “Exclusive Marketing Partners”. IMO, commission splits (referrals as well) are one of most tricky issues for companies who compensate this way – thankfully, in most cases those numbers are flexible and it won’t take long to figure out value (or lack of). I worked with the largest team in the country, over 100 agents. It was really a brokerage within the brokerage more than a team. The team took 10% of everything, + 40% for closed referral leads, + monthly fees + franchise fees. There was little support, and the broker texted back 2 word responses to questions. It gets tired fast. Some people do great with Zillow. I know brokers who are paying $30K @ mo for leads and killing it. Zillow concierge did exactly what they promised, handed off live calls. But, clients didn’t like it, felt that they were hounded and told the concierge a different story than they told me. I’m trying Opcity, they do hand off live calls. It’s still not a slam dunk. Some don’t qualify, ghost, or have Kardashian expectations. I’d rather pay a referral fee for a closed transaction because it incentivizes the referee to send convertible leads. Talking about a better consumer experience, I don’t see any benefits for the consumer with this system. This system will make consumers tired from asking the same questions to so many people and getting different answers from different people. Zillow and Realtor.com brought complications to this industry in the name of selling leads to real estate agents.Why not making it very simple for the consumer and have only the listing agent contact information, end of story. But instead they are implementing 30 different agent to each listing, confusing the consumer and extorting millions of dollars selling zip codes to those agents who live in a hope, that the tomorrow will be better. As a real estate investor for many years, I would like to talk only with the listing agent. I have tried to speak with other agents in Zillow who are not the listing agents and they could not answer the important questions I had.No one knows or have the correct information better than the listing agent on the property. Great song pick. I’d never heard that one before. Also, I sure am glad that I have my own sources of steady business. I can’t imagine paying fees that high. I dabbled in RELO a bit during the recession, but couldn’t stomach the insane fees then either. Ouch. Does anyone care that within the last two weeks, both Realtor.com and Zillow became real estate Brokers, which means they are now competing with the Brokers and Agents that they once purported to serve? Zillow has had some brokerage licenses for over a decade. This is not new. And there is still no “Zillow Realty” office down the street. Not surprised by this move from Zillow. Realtor.com is just trying to keep the playing field level. In spite of fears I hear everyday, I’m not worried about Zillow becoming a broker at this time, or a mortgage provider or an MLS. Compared to Zillow’s current model, these businesses are low margin and involve rules, oversight and other complications. Why would Zillow want to chase that kind of business at this point? But making more money off a “warm” hand off…and still keep clean of the “messy” transaction side of real estate??? No brainer for Zillow. And let’s face it, what ever the number is for that “Z” referral fee, it comes without the hours and hours of BMA preparation and follow up reporting which is integrated into almost all RELO transactions. OK, so how much would they have to pay you to use your Listings? After that, what % of that should you have to share with the homeowner for making money off of his home’s information? That’s interesting. Because of volume, one could argue, the agent would be more attractive to the portal as a source of listing info. I think an agent side tool should be built that would figure out how much a listing is possibly worth to a portal and charge accordingly. Kind of like Zillow’s set up where some zip codes cost more than others to be “premier” in. The reverse of that. I do like that. And then Zillow should make that available to consumers, so that homeowners know what the listing itself is worth to the listing agent/broker. They could then use that to negotiate lower commissions or kickbacks from the agent/broker. Or maybe that gives rise to a new kind of business: LDBO (Listing Data By Owner) instead of FSBO. The homeowner gets all of the data on his home, fills out all of the relevant information, writes up the Property Description (people do this today on AirBnB after all), and then sells that package of Listing Data to the listing agent for a fee. Listing agent can then turn around and resell that to the portals. This is the biggest problem in the industry.Real estate agents should stop thinking that the listings are their own private commodities. In the first place, real estate agents should know and realize that, marketing is their job and the listings should be everywhere. Many agents have the feeling they represent themselves and that is a big problem. They represent their clients and their clients do not need to suffer because of that stupid war of, to whom belongs the data. This sentence of “my data my listing” who came from the head leader of KW, making me wonder, what the consumer think of that miserable thought. I think that saying that leads are worth 50-65% because that’s where the team splits are is a bit short-sighted. Teams offer MUCH more than leads. Accountability, Coaching, Culture, space, signs, lockboxes, transaction support, listing support, marketing. Those are just a few of them. I think the 40% mark makes sense for a qualified appt. On the title question of What should Zillow, et. al. charge for a “lead” I am agnostic. so let’s get this straight…..the realtors pay a fee to their local MLS’s for the use of their local MLS’s. The local MLS allows their information to be used by Realtor.com and Zillow and probably receive compensation from Realtor.com and Zillow. So without the agents listing properties and putting them in the MLS, there is no realtor.com or Zillow. But realtor.com and Zillow then want to charge a referral fee to give the agents leads that were generated thru the agents own advertising efforts? and yes 90% if not more internet leads are trash. Phone numbers like 1234567890 living at 123 Main St. Technology is great and beats using the old cards and magazines agents used before the MLS, however these companies aren’t improving the market. They just provide an the same information agents are already advertising and just PAY for top website placement and the buyers see the same info the agents would be advertising just on a different site as the realtor.com’s and Zillow pay for the placement, and then want to collect referral fees on leads that the agent would most likely have received directly. Just saying…..